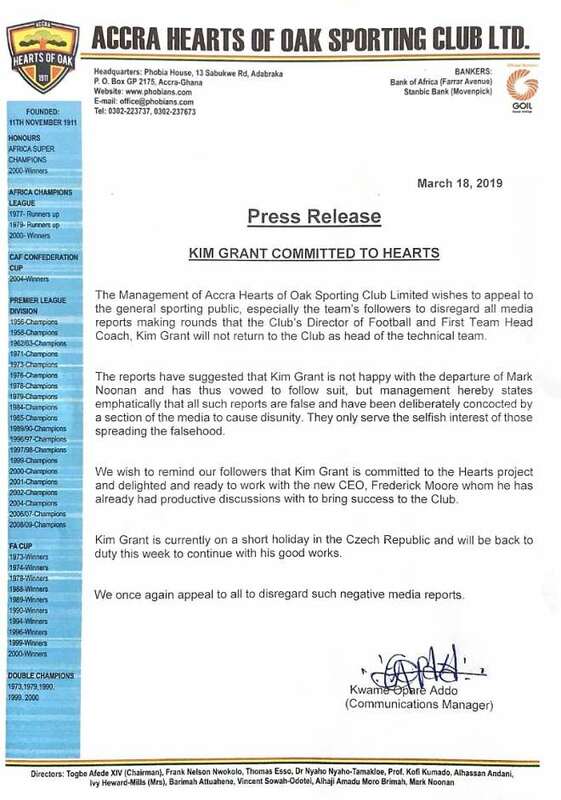 Accra Hearts of Oak have rubbished rumours that head coach Kim Grant is on the verge of quitting the club. 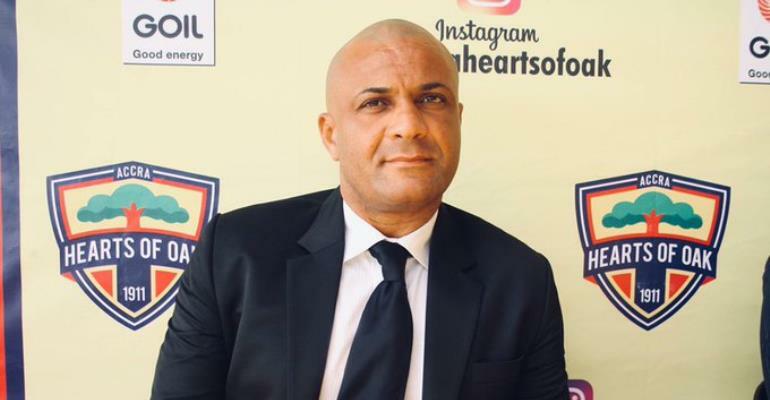 Reports have gone viral that the former Ghanaian international will follow Mark Noonan who resigned last week as Managing Director on grounds of family reasons. However, the club has issued a statement rubbishing the reportage insisting the former Ebusua Dwarfs technical director is committed to the Phobians. A statement released on Monday read: ''The Management of Accra Hearts of Oak Sporting Club Limited wishes to appeal to the general sporting public, especially the team’s followers to disregard all media reports making rounds that the club’s Director of Football and First Team head coach, Kim Grant will not return to the club as the head of the technical team.